There’s an old truism about Hollywood entertainment: Spending more money to make a movie always improves it. Exhibit A? Titanic. Exhibit B? Battleship. Honestly, who can even tell those two movies apart, given they’re both about boats and cost hundreds of millions of dollars to produce and market? 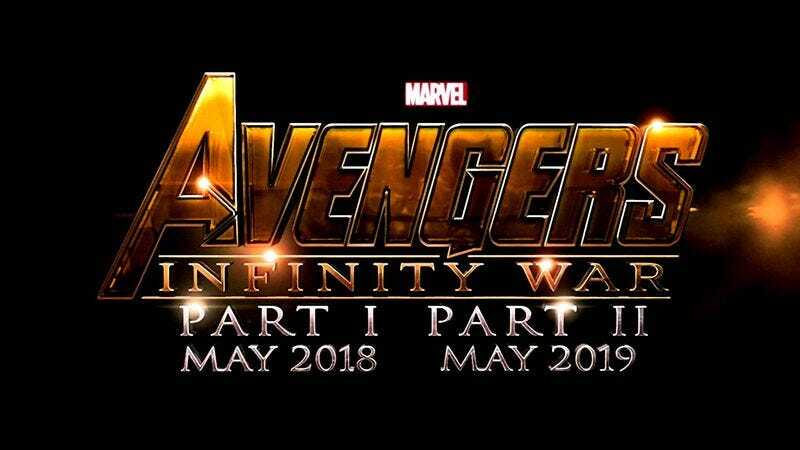 And now that the Russo brothers have been put in charge of Marvel’s Avengers: Infinity War films, they are already dropping some serious coin on just the cameras being used to make the two films. Marvel announces that the two-part comic saga will be the first films shot completely with IMAX cameras. The IMAX /ARRI 2D digital cameras being used for the films will be employed by the Russo brothers for certain action sequences in their upcoming Captain America: Civil War, so they should be well-versed in the technology by the time Infinity War rolls around. That seems like a necessary training period, given that they’ll be using this technology for the nine long months it will take to film the story that’s meant to cap off the first ten years of the Marvel Cinematic Universe. These cameras are meant to maximize the new IMAX laser projection system the company has recently begun rolling out across the country, because the biggest complaint people have about IMAX is definitely that it’s not overwhelming enough. Of course, this will all be a moot discussion five years from now, when Marvel makes available the MCU microchip that will be fused directly onto the central nervous system of every American. From there, it will be a short step to simply keeping everyone in cryo-sleep most days of the year, thawing us out only when it’s time to beam a new Marvel movie into our cortices. It should happen just in time for the release of Iron Man Vs. Ant-Man’s Robot Butler: Dawn Of Eternity’s Mellon Collie And The Infinite Sadness.